"Softly softly” is not a maxim that King King are familiar with. Since surging into life last year they have barely stopped for breath, and their electrifying sound and scorching live shows have generated more of a thunderous roar than a buzz. This is a band which knows how to make an entrance. Fronted by charismatic bluesman Alan Nimmo, their exhilarating debut at last year’s Monaghan Blues Festival created such a stir that it prompted organizer Somhairle MacCognil to remark: “King King aren’t just playing the festival. Word is that King King ARE the festival”. With a reception like this, there’s no surprise that the phone has been ringing off the hook since, and the last year has seen a frenetic schedule of gigs and festival appearances which have received outstanding praise and added plenty of new blood to their burgeoning army of followers. 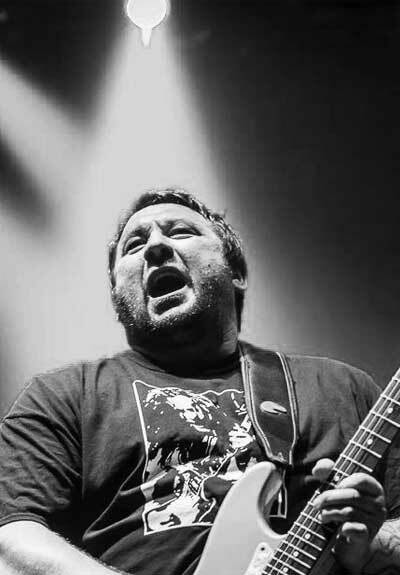 With an almost instant reputation which spread like wildfire through the blues scene and a diary fit to burst, you’d be forgiven for thinking that King King might have wanted a bit of a rest. You’d be wrong. Apparently imbued with sufficient energy to power a small town, the band also found time to get into the studio, the result being their debut EP ‘Broken Heal’. Produced alongside the team behind the Arctic Monkeys, Kaiser Chiefs, and the Editors, the EP instantly received a gleaming review from Blues Matters Magazine, including remarks on its “emotive lyrics” and “stirring guitar work”. The band had barely left the studio when they began to receive airplay on radio stations across the UK, Europe, and the US. Listeners to Radio 2’s Paul Jones were treated to a taste when the DJ got his hands on the band’s stunning ‘Heart Without A Soul’ and introduced it to the masses. Little wonder then that organizers of the celebrated Blues On The Farm festival had a listen and were so impressed that they made room for King King – despite having already filled the bill for the event. Thundering on, the summer saw King King descending on the celebrated Maryport Blues Festival, where they played the main stage to rapturous effect. One press review effused: “How do you top an evening of music dominated by the wonderful Jethro Tull? With King King, that’s how.” Yeah, they’ll get you like that. Pretty impressive stuff for a band less than a year old. So what’s at the root of all this commotion? Well, aside from seemingly boundless impetus, the band is certainly not lacking in pedigree. Leading the charge is the aforementioned Alan, a frontman famed almost as much for his contagious energy as his dazzling guitar work. Widely known across the UK and Europe for his pivotal role with the award-winning Nimmo Brothers, Alan’s full-blooded style, technical brilliance and impassioned vocals combine to hit all the right buttons and reach spots that many others can only aspire to. Drawing on their combined talent whilst cherry-picking the hottest influences, the band has pushed boundaries to craft a fresh, powerful new angle on blues rock which is as infectious as it is accomplished.